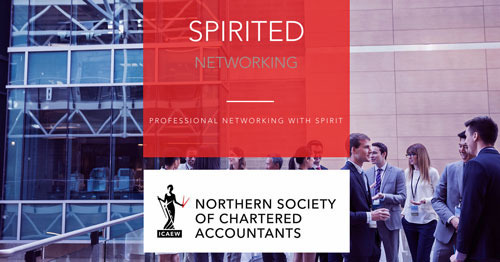 Spirited Networking – connecting communities across the professions and Gin Festival evening. 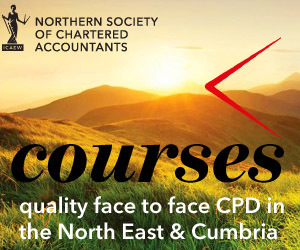 A great way to network with solicitors, bankers, accountants, surveyors, architects, insurance & independent financial advisers and other business professionals. We introduce Spirited Networking as a new way of meeting colleagues and taking part in a social gathering with a festival feel. Gin tasting and sampling from the leading gins across the region. Festival food and live music. Masterclass sessions to learn the secrets of the distillers, perfect serves and how to make classic cocktails. Professional networking in an unique environment – connecting communities across the professions. Ticket price £20 (inc VAT) to include a drink on arrival and food voucher. We will take your tickets and give you a glass (either hi-ball or balloon, and a drinks guide), which explains which gins and other drinks are available at the event. You will also get your meal ticket. And you are off…. There will be a reception drink for you on arrival. One of our premium gin partners will offer a gin and tonic or a gin cocktail just to get you started. 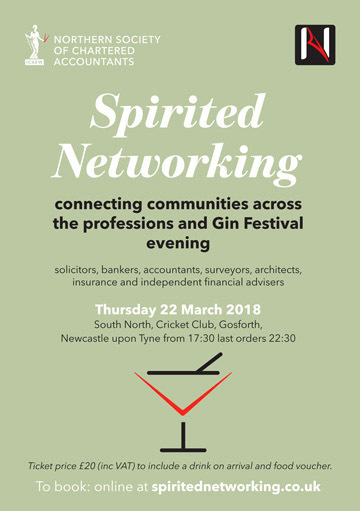 At Spirited Networking there will be a wide range of sampling from distillers who have come to showcase their own drinks, or brands who represent gins from across the world. They will provide you with small samples, and tasting of the gins they have brought, and will inform you about the gins. Many of the gins will be offered ‘neat’ so you can taste them at full strength, and then you can add mixers and garnishes to taste them as a perfect serve. These samples are small and not full measures and are offered to give you a ‘taste’ or ‘sample’ of the full products. A full range of Fever Tree tonics are available throughout the event. You will be given a meal ticket on arrival and we have a fantastic street food area at the festival which will be serving meals throughout the event. They will offer you some of the finest Indian Street food with options, including a vegetarian option and also a gluten free/allergy free offering to cater for all requirements. Just use your meal ticket to get your food which is included in the price of your entry. Drinks vouchers are available for £5 each and after you have sampled the great gins we have to offer, we have a dedicated gin bar with over 80 additional gins and spirits to try. If you are not a huge fan of gin, do not worry as we also serve beers, lagers, cider, prosecco, wine and other cocktails, so there is a spirit for everyone. Our event is designed to give you a great informal networking opportunity, but also provide some live entertainment and an experience you will remember. At Spirited Networking we will have live music with 2 sessions from one of the North East’s leading live entertainers. We will also be running informative, entertaining and engaging sessions from some of our gin partners, with cocktail making, using garnishes and perfect serves with all sessions being explained by real experts. And finally there will be the chance to relax and meet your peers in a great setting.